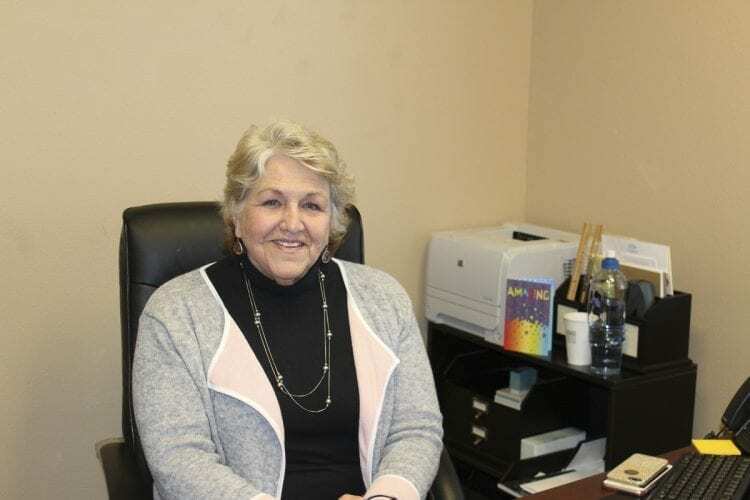 WASHOUGAL – Washougal’s new mayor, Molly Coston, brings both professional and political experience to her new position that she says will help her lead the city of Washougal towards new goals and challenges. From 2005 until 2011, Coston served as a city council member in Washougal, which she credits with helping her understand the process of local government. During that time, she served for three years on the Regional Transportation Council, first as a member, then as the vice chair and finally as chair. That experience, Coston said, helped her gain a better understanding of local transportation issues. Over the last several years since leaving the city council, Coston worked as a senior project manager for a large telecommunications company that focused on installing switching equipment in telephone offices. Coston said that in this role, she served as the project manager for Micronesia and Alaska. As part of her job, Coston had to manage a large staff and make sure multi-million dollar projects came in on time, on budget and with high customer satisfaction. According to Coston, both her elected experience and business experience will help her in her new role as mayor of Washougal. Washougal operates under a strong mayor form of government, where the mayor is in charge of all city staff, and can make hiring and firing decisions at will. The mayor is elected separately from the city council, Coston explained, but chairs the city council meetings. Coston said that the mayor also is involved in relations with the public and other organizations, and must be invested in public activities that go on in the city of Washougal. Washougal’s mayor is also in charge of the budgeting process, which will begin in June and go before the city council for approval in November, Coston said. Going forward as mayor, Coston said that she had several goals that she wants to address. Coston wants to assess all the property owned by the city of Washougal to determine its value and intended use. She said there are some smaller parcels that could be sold, to take advantage of a current economic market that favors sellers. “I like those kind of dynamics where you start to get a lot of engagement from the larger community,” Coston said. For longer-term goals, Coston said that she wants to focus on getting “our downtown core more dynamic.” She wants to find ways to offer increased opportunities for retail and commercial ventures, and to develop a solid relationship with business property owners and developers to help facilitate that downtown development. Coston said that she wants to work on the transportation infrastructure in that area, which will serve as the beginning of the improvement to the downtown core. Coston also wants to focus on preserving green spaces in the community, as Washougal’s location between the urban area of Vancouver and the scenic Columbia River Gorge mean that green spaces are an asset to the city. Looking to the future, Coston outlined some of the biggest challenges facing the city of Washougal, citing continued growth as an issue that the city will continually face. She noted that the city does need residential growth, and that Washougal cannot simply stop growth and prevent people from moving into the city. Coston said that one way to mitigate the effects of growth is to establish good design standards. Closely associated with growth, Coston said that the city must find a way to address a railroad crossing at 32nd Street. Washougal is situated along a railroad right of way, and is primarily a commuter community, Coston said. With an estimated 40 trains a day passing through Washougal, the 32nd Street crossing can often cause traffic to stop for a long time and in large quantities. The city is examining ways to fix the issue of traffic because of trains, including the construction of a $30 million overpass over the railroad tracks. One of the challenges, Coston said, is finding funding for such a project. Coston hopes to maintain Washougal’s “small town appeal” even in the face of growth, all while being fiscally responsible, and doing so is an ongoing discussion in the city. As she goes forward as Washougal’s mayor, Coston said that she hopes to be able to find ways to use volunteer organizations or labor to help the city accomplish public projects. As an example, the city has a bike track in one of its parks that it wants to further develop and improve. There is a group of volunteers that are willing to help do the work, Coston said, but using volunteers to accomplish city work may cross legal lines associated with prevailing wages and permitting costs, and the project has thus stalled. Using the volunteer labor would make projects like the bike track financially feasible, and Coston wants to work to find ways that volunteers can be used to help the city accomplish some of its community projects. “I’d like to be able to find some strategic ways to use more volunteer organizations or non-city staff to make projects happen when the city itself can’t do it,” Coston explained. “I see that as the future” of city governments, Coston said.